Fairy tales have long formed part of the Scandinavian psyche, inspired in no small part by the landscapes of Finland and other Nordic countries. And while their magic may have waned in the 21st century, a raft of taste-makers and contemporary fashion designers are keeping their spirit alive. “Finland is a magical land of forests and thousands of lakes. Nature is always close, and Finnish artists have always been inspired by its beauty”, says Mai Niemi, the designer behind the fashion label Finnish Fairytale. “The fairy world is a great source of inspiration for me. Finnish mythology is intertwined with that of the Vikings and Celts, and with the Scandinavian sagas. Our country´s culture of story-telling even inspired J.R.R. Tolkien in creating The Lord of the Rings.” It is easy to see something of the ethereal, Tolkien-esque elfin queen in Mai Niemi´s designs. 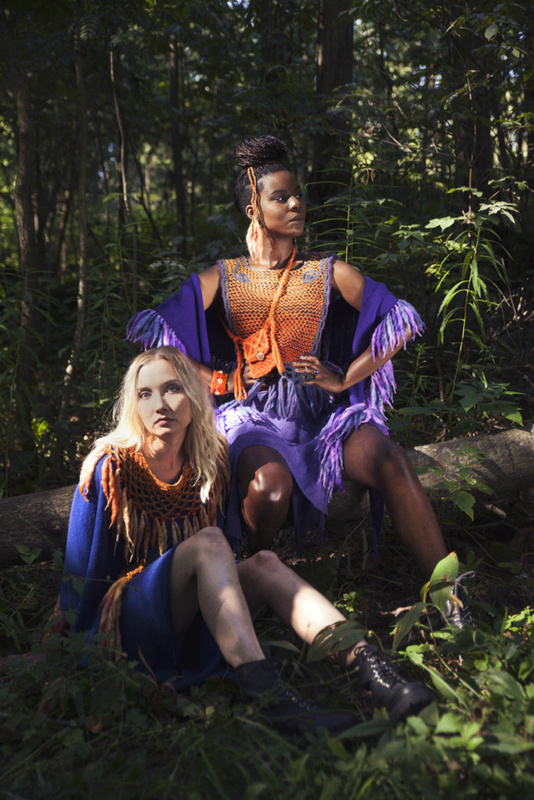 In her designs Mai Niemi combines art, fashion, feng shui, global and local myths, fairy world fantasy, well-being, nature connection and role play. The inspiration behind Mai Niemi’s modern and timeless design pays tribute to the Finno-Ugric tribes and the Finnish epic Kalevala. Her local fashion has a global story inspiring people all over the world. Every piece is locally handmade with love and care. Finnish Fairytale story inspiring people all over the world. All garments are one size, practical and multi-purpose fashion that inspires all age groups. They are feminine and figurefriendly: you don't have to slim in order to fit in them. The basic knitwear can be combined and enhanced with tribal accessories to cover all events and seasons. With Finnish Fairytale knitwear you can renew your existing outfits andfreshen up your wardrobe with the principle "less is more".